The view from the Leonardo da Vinci Museum in Vinci, Tuscany. From Wikimedia. While living on either end of Tuscany — first to its immediate north in Bologna, and then just south in Rome — I found myself becoming increasingly anti-Tuscan. My internal justifications went something like this: Chianti? The local, cheaper Sangiovese suited me just fine. Art? Why travel to see the David when I could walk to the Pieta? Food? Don’t get me started on Tuscan bread. Now that I’ve disclosed my irrational prejudice against all things Tuscan, let’s talk Tuscan wine. Chianti likely became so famous because of its accessibility — it’s known for being affordable and easy-drinking, and it’s relatively easy to find. Its reputation has alternately peaked and plunged over the years. Today, Chianti’s wines can largely be divided into two categories: expensive, high-end bottlings that are often over-extracted and oaky, and cheap, insipid, mass-produced wine. Admittedly, a few producers are still making terrific Chianti at a good price (e.g. 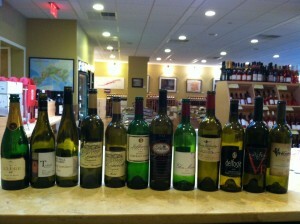 Fontodi, Felsina, Monte Rotondo, and Querciabella), but they are relatively hard to find. I have had so many “blah” experiences with random Chianti bottles that I’ve mostly given it up. As much as I’d love to use this as an excuse to write off Tuscan wines altogether, I’ll grudgingly admit that Tuscany’s terroir seems to be well-suited to making good wine. So I decided to search for a Chianti alternative. The best-known Tuscan DOCG wines (Denominazione d’Origine Controllata e Garantita, the top tier of Italian wine certifications) — Brunello di Montalcino, Vino Nobile di Montepulciano, and Chianti Classico — are all made primarily with the Sangiovese grape, and showcase Sangiovese’s elegance and versatility. These wines are often good, even great, but the best are very expensive. If Sangiovese is the key to great Tuscan wine, why not look beyond the famous appellations to find it at a better price point? Morellino di Scansano — also a Sangiovese-based Tuscan DOCG — fits the bill. 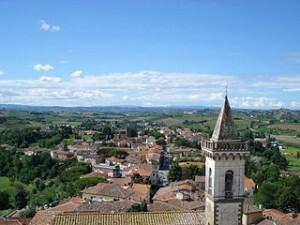 It comes from the Maremma, an area south of Siena near the Tyrrhenian coast, about halfway between Rome and Florence. The region makes fresh, accessible wines that are usually priced between $15-$25. Not much Morellino makes it to the US, but on the occasions I’ve tried it, I have been impressed. With my interest piqued, I jumped at the opportunity to attend a recent Morellino tasting in DC, co-hosted by the Consorzio Tutela Morellino di Scansano and Vigneto Communications. Across the board, the Morellinos were simple but well-made, with tons of the bright red fruit that is typical of Maremma Sangiovese. A few winemakers used too much oak (to my taste), but even the oakier wines were preferable to many Chiantis I’ve had in their price range. These Sangioveses are meant to be drunk young; a wine to enjoy while ageing your Brunello. 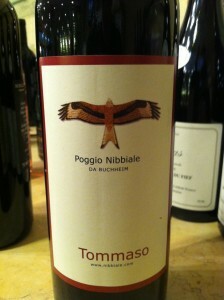 My favorite wine of the night was made by Elke and Nikolaus Buchheim at Poggio Nibbiale. Their son was pouring, and he gave me a brief rundown of the estate: his German parents bought the land in 1998, and now have 11 hectares of vines, mostly Sangiovese. They practice organic viticulture (but are not certified) and rely on spontaneous fermentation by ambient yeasts. Only one of their wines was available to taste, the 2008 “Tommaso” Morellino di Scansano Riserva DOCG, which was surprisingly fresh and juicy considering its eighteen months of barrel age. Red berries, cedar, tobacco and cherries dominated the palate. I’m a convert. Another highlight was Poggio Argentiera. They are one of a handful of wineries who use the grape Ciliegiolo in their Morellino blends, which adds a burst of cherry to the Sangiovese. Of their two Morellinos on offer, I preferred the 2012 “Bellamarsilia” DOCG, which is 85% Sangiovese and 15% Ciliegiolo. It showed pure red fruit and had a backbone of dusty tannins, and would be perfect with some Tuscan salami and pecorino cheese. The second wine was their 2010 “Capatosta” DOCG, which has 5% Alicante in the blend. The addition of the Alicante, along with a longer oak regimen, made for a much darker and stiffer wine than the “Bellamarsilia.” This wine shows potential, but needs time for its tannins to soften and integrate. Tenuta Pietramora di Collefagiano "Petramora"
Rounding out my favorite producers was was Tenuta Pietramora di Collefagiano. The estate was bought and replanted by its current owners in 1999, and is certified organic. The wine on offer was their 2010 “Petramora” Morellino di Scansano DOCG, which is 85% Sangiovese and 15% Merlot. The Merlot (I was skeptical) distinguished this wine by contributing a pleasant meatiness not found in the other Morellinos. It was a big wine at 14.5% alcohol, but the weight was nicely balanced by Sangiovese’s characteristic acidity. While my anti-Tuscan feelings haven’t completely disappeared, they’ve softened considerably — I really enjoyed these wines. They were exactly what I was looking for in a Chianti alternative. These Morellinos were bright, fresh expressions of Sangiovese, from grower-producers whose winesemphasize both their terroir and their own personal style. Morellino di Scansano was granted DOCG status only six years ago. And a recent flood of investment — including purchases by Tuscan heavyweights Banfi and Frescobaldi — means that the region is developing rapidly. As a result, I suspect we will soon see more Morellino in the United States. This is great news for me, since I’m too much of a curmudgeon to enjoy it at the source. Beaujolais Nouveau Has Arrived Again! The leaves are falling, the turkeys are fattening, the football game is on TV. This could only mean one thing — it’s almost time for the Beaujolais Nouveau to arrive! While it seems like every wine has its own celebration these days (maybe you missed International Tempranillo Day last Thursday? ), the celebration of Beaujolais Nouveau is indisputably the first and the greatest wine holiday. Searching the annals of winemaking history, we find that the tradition of making “early wines” (vins primeurs) predates the marketing genius of Georges Duboeuf, and can be traced to ancient times. According to Cato and Pliny, the Romans made a number of early wines, none of which closely approximated Beaujolais Nouveau but are interesting nonetheless. Vinum preliganeum was made from unripe grapes and was intended for workers to drink during the harvest, lors was a cheap wine made by macerating the newly pressed marc (seeds and stems), and slaves drank vinum faecatum, which was made from sediment left over after the grapes were pressed. With this pedigree, we are fortunate that today’s primeur wines have morphed into something infinitely tastier. Primeur wines get a lot of flak for being overly simple and approachable, but keep in mind that they were never meant to be great. If you can find them, primeur wines are best consumed within six months of release. They are relatively inexpensive, and are meant to give consumers and vintners their first glimpse into the potential quality of a vintage. They mark the end of the harvest season, and their release is naturally a cause for celebration in the rural areas where they are made. Early wines are produced everywhere in Europe. Wines of this family are called vins nouveaux in France, vini novelli in Italy, Federweisser and Federroter in Germany, Sturm in Austria, vino joven in Spain, and almost every region within these countries has its own version. But perhaps you suffer from Beaujolais Nouveau fatigue. That’s understandable. It has been both a blessing and a curse that George Duboeuf was so successful marketing the wine during the 70s, 80s and 90s. He deserves his own VH1 show. On the one hand, it’s incredible that a wine with such a short lifespan, that was previously very difficult to find outside of Beaujolais, is now available in Tokyo and New York at the same time it is released in Lyon. On the other hand, the already low quality of the wine has been diluted due to mass production, and prices have gone up due to the cost of air freighting the wine around the world. But just because you don’t want to stay up till midnight on a Wednesday to watch your hundred closest friends’ mouths turn purple, doesn’t mean you can’t enjoy the celebration of the harvest with some early wine. You’re sick of supporting the Georges Duboef juggernaut? Seek out an alternate producer. The two other major negociants of Burgundy, Joseph Drouhin and Louis Jadot, also make Nouveau wines that are available in the U.S., but it’s much more difficult to find Nouveau wines from high-quality small-scale producers. Two remarkable exceptions are Jean Foillard (imported by Kermit Lynch) and Pierre-Marie Chermette of Domaine du Vissoux (imported by Peter Weygandt). These two producers make their Beaujolais Nouveau wines following the same minimal intervention philosophy that they both famously use in their cru Beaujolais wines, and as a result these Nouveau wines have more nuance and better balance than many of the mass-market options. So in the spirit of the season, I’d encourage you to give primeur wines another try. They have a rich history and there are now higher quality options available on the U.S. market than ever before. Don’t expect too much, and keep in mind that this is one of the most enjoyable ways to celebrate wine for wine’s sake. Living in Washington DC, I hear a lot of talk about Virginia wine. Generally, people have positive things to say about their visits to Virginia wine country, if not always about the wines themselves. I’ve attended a few Virginia wine festivals and visited some vineyards myself. It has always been a fun experience, but the wines are rarely memorable. Judging was led by DC’s only Master of Wine, Jay Youmans, and he recruited a number of other well-qualified colleagues to join his team. Although I was a little concerned that some top-tier vineyards — including Barboursville, Linden, and RdV — were absent from the winner’s circle, I decided the judges must have identified some good up-and-coming wineries to tout instead. Last week, I was treated to dinner at one of DC’s few hidden gems, Obelisk in Dupont Circle. I’d heard many positive reviews, but I was nonetheless surprised to discover that Obelisk is, in fact, a “true” Italian restaurant — with fresh, top-quality ingredients and well-executed, simple preparations. But I won’t start blubbering about the best burrata I’ve tasted in the United States — this is a wine blog. 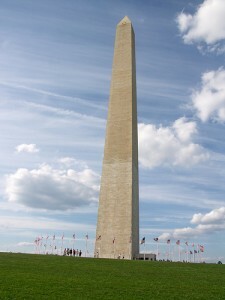 Instead, I will extol the merits of Obelisk’s wine list. It’s short. It’s handwritten. It’s all Italian. I was impressed. I’m convinced that the art of putting together an exciting wine list hasn’t quite caught on in DC. Yes, CityZen, Citronelle, Proof, Bourbon Steak, and Blue Duck Tavern all have venerable, deep wine programs. For the sake of simplicity, let’s call those “first generation” wine lists. Restaurants like Ripple and Dino have exploratory, expansive lists, which are rooted in the classics but tend to venture away from Napa, Bordeaux and Tuscany. These are our “second generation” lists. And while I’m surely excluding other excellent wine lists around the District, my point is that there are only a handful of noteworthy examples, and they tend to fall into one of these two categories. Obelisk’s wine list is a different creature altogether. While Citronelle’s list is classic and comprehensive, Obelisk’s list is thought provoking, tightly curated, and exclusionist. It is the Hirschhorn to Citronelle’s National Gallery of Art. Let’s call it a third generation wine list. We drank only two bottles at Obelisk, but they sat on opposite ends of the traditional-to-über-hip spectrum. First was a 2009 Coenobium Rusticum from Monastero Suore Cistercensi, an “orange” wine from Lazio that is a blend of Trebbiano, Verdicchio, Malvasia and Grechetto. It was appropriately served to us at cellar temperature. It was more golden than orange, but the extended skin contact during fermentation and slight oxidization gave it a structure you rarely see in whites. The second bottle was a twist on a classic: a 2008 Fratelli Brovia Nebbiolo d’Alba from the region of Piedmont. It was tannic but approachable and somewhat fruit-forward for a Nebbiolo, with great acidity. And although this wine is made with a typical grape from a well-known producer, it is unusual to see a Nebbiolo d’Alba DOC in the United States — a rare treat. These wines typify the best aspects of a third generation wine list. These lists boast wines chosen to complement the venue’s food, with an eye to impressing the savvy customer. The wines are often challenging, but they’re delicious and relatively affordable. It is the kind of list that persuades the diner to interact with the sommelier, and hopefully learn something new. It’s disappointing that there aren’t more of these kinds of wine lists around the city. DC is home to some of the most celebrated beer lists and avant-garde mixologists in the country — hopefully it’s only a matter of time until the city embraces wine with the same enthusiasm. And if you have suggestions of other wine lists that would fall in this category, please share in the comments! In third grade, I was the only girl in the Baseball Card Collectors Lunch Bunch Club. 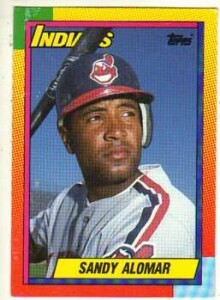 I had a shoebox full of Topps and Donruss, and I would obsessively consult my outdated Beckett book before deciding whether to pony up, say, my mint condition Sandy Alomar Jr. card for a rookie year Cecil Fielder. As an adult, the closest I’ve come to the experience of assembling my baseball card collection has been in buying wine. It’s not too much of a stretch to liken a case of 1982 Chateau Latour to a Mickey Mantle rookie card — both are coveted by nerdy enthusiasts, cost way more now than they did in 1982, and have a seemingly unlimited resale potential. In econ-speak, goods with these traits are called “Veblen goods.” Veblen goods are items whose demand grows as prices rise, a situation that is pretty counter-intuitive. The transition of fine wine into a Veblen good began when people stopped buying it as a beverage, and began “investing” in wine as a resalable commodity. The secondary wine market exploded in the in the 70’s and 80’s, and some first growth Bordeaux has actually outperformed more traditional commodities like gold and silver. 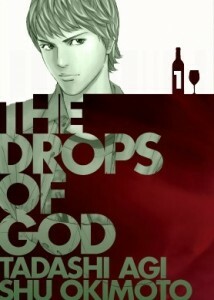 The Drops of God, the Japanese graphic novel (or manga) that took Asia by storm when it was first published in 2004, has finally been released in English. The book follows the adventures of Shizuku Kanzaki, the rebel son of a wine critic, who must complete a Herculean set of wine-related tasks to secure his inheritance. To complicate matters, Shizuku’s father adopted a second son on his deathbed — a slightly evil superstar wine critic who must compete with Shizuku for the rights to the estate. The authors, a brother and sister team writing under the nom de plume Tadashi Agi, endeavor to create links between wine tasting and more familiar experiences. Hyperbole aside, the authors manage to conjure a version of wine that is intensely personal, yet widely comprehensible. Flowery metaphors are counterbalanced by a fair bit of instruction in technical wine history, vocabulary, and viticulture. For example, one of Shizuku’s adventures traces the legacy of one of Burgundy’s most influential terroirists, Henri Jayer, by mapping the degree of his influence in the wines of his students, relatives, and friends. It is precisely this balance of imaginative storytelling and technical material that makes “The Drops of God” a refreshing departure from your typical wine reading. It is an accessible, if slightly exhausting story that expertly blends instruction with entertainment. Although it will likely be less influential in the U.S. wine market than it was in Asia, The Drops of God is a worthwhile read, particularly for those who can enjoy their wine with a grain of salt. Last week, Josep Maria Albet i Noya, the newly elected President of the Penedès DO Council, set the wheels in motion to divide the Penedès region into six sub regions: Garraf, Ordal, Alt Penedès, Central Valley A, Central Valley B, and a sixth yet to be decided. In a recent article on Decanter.com, Albet argues that the current label of origin system doesn’t do enough to showcase and demarcate the distinct climates, terrains, and soil types within the growing region. An abundance of bureaucratic red tape means that this undertaking could last more than two years, which begs the question: Will it be worth the cost in time and money? In this case, I’d say yes — it will be an endorsement of the rise in quality and diversity that Penedès wines have seen over the past few decades. 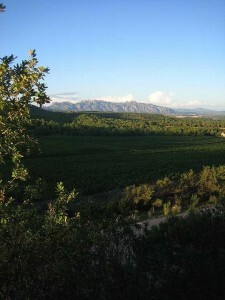 An abundance of run-of-the-mill Cava has limited Penedès’s appeal in the international wine market. 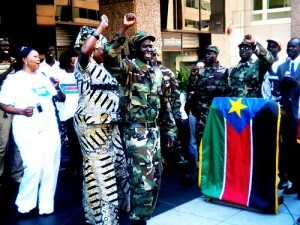 This regional reconfiguration will give ambitious producers the chance to differentiate themselves from the masses. While Penedès has some shining stars, it isn’t (and never will be) Champagne. Yet two of my favorite producers, Huguet and Raventos i Blanc, make complex, affordable, terroir-focused wines, but get little recognition internationally. These top-tier producers have shown that there is room for improvement for Cava. In the best case scenario, consumers would use the Penedès overhaul as an occasion to re-examine its wines, and producers would take the opportunity to make improvements, innovations and to re-think Cava’s potential. 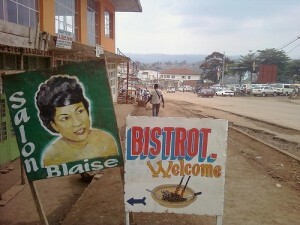 Maybe they can even change Eric Asimov’s mind!